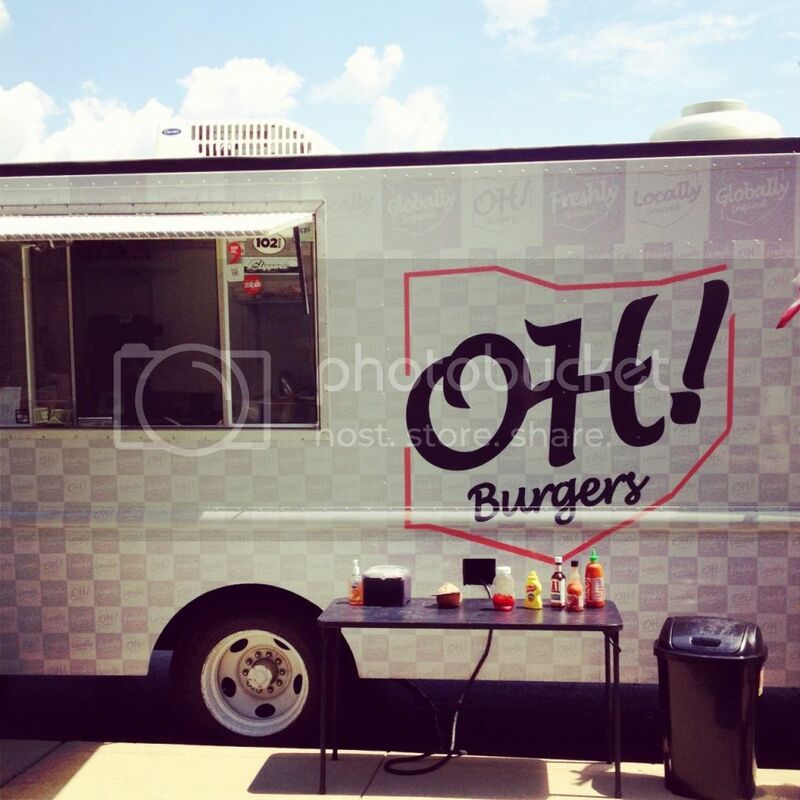 On Monday we had another new food truck stop by our office. OH! Burgers serves 2 oz mini gourmet burgers and sweet potato chips. What I love about this truck is that they source their ingredients locally as much as they can. They get their beef from Rife's Market in Grandview (which procures it from a farm in Zanesville -- my hometown!) and it is freshly ground on the truck. They also get their bread from The French Loaf in Grandview. Their menu changes daily based on what they are able to get from the market. I tried 2 mini burgers and the Sweet Potato Chips. 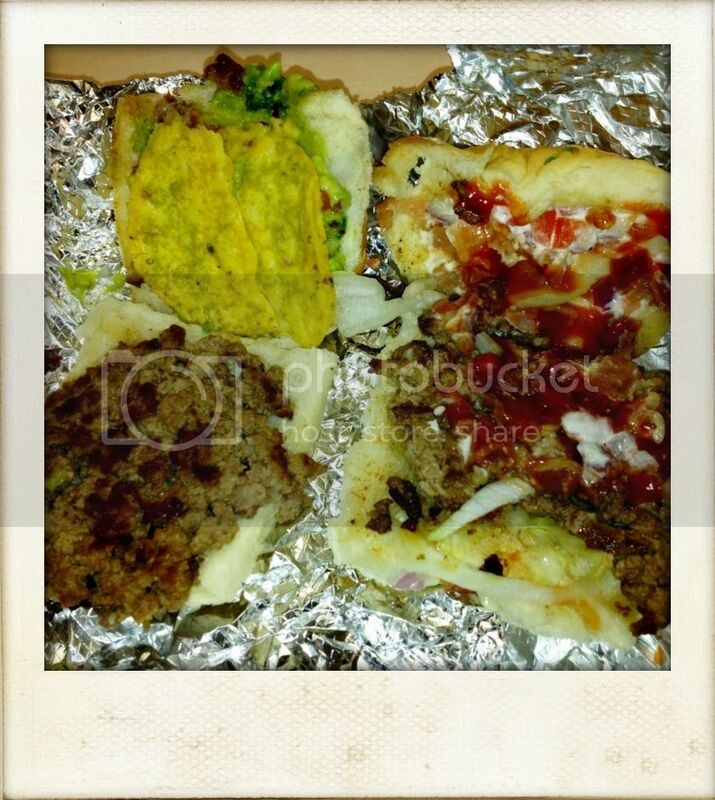 Not the best picture, but it's hard to photograph burgers with lots of messy toppings, oh and at work in your cube. They were so good though and tasted much better than they look. I tried the OH! Burger (on the right) which consists of 2oz of freshly ground beef, bacon, cheddar, lettuce, tomato, and mayo (I got mine minus the cheese, and added ketchup). I also tried the Wholly Guacamole Burger (on the left) which consisted of 2 oz of freshly ground beef, guacamole, queso fresco and a torilla chip (minus the cheese again :( ) The sweet potato chips were just ok, and I would have liked to see a little more seasoning on them. Overall I would definitly try more burgers from this truck. Each burger is only $3, so you can try a couple of different ones and not be too full, or broke. Next time I would like to try the Greek Goddess which is 2oz of freshly ground beef, feta cheese, greek yogurt, cucumber, tomato, and red onion. I would also like to try the Spicy Latin Pineapple which is 2oz of freshly beef, lettuce, and pineapple salsa. There will definitly be a next time on this truck!